Apple is offering partial refunds to recent iCloud subscribers as it drops the price of its cloud storage plans. The refunds were first reported by Circa editor Nicholas Deleon, who received an e-mail from Apple about refunds to his personal iCloud account. Deleon had been paying $40 per year for 25 GB of storage, but will start paying $12 per year on October 10. To cover the price difference between now and then, Apple is giving Deleon a prorated refund of $2.38. Apple's iCloud storage plans previously included 5 GB of free data and cost $20 per year for an extra 10 GB, $40 per year for 20 GB, and $100 per year for 50 GB. As of Tuesday, Apple's new storage plans cost $1 per month for 20 GB, $4 per month for 200 GB, $10 per month for 500 GB and $20 per month for 1 TB. All users will still get 5 GB of data for free. The new plans coincide with big changes in how iCloud deals with photos and data. Instead of pushing Photo Stream as the main way to wirelessly sync all photos across devices, Apple will offer an “iCloud Photo Library” that stores everything online and lets users download only the photos they want to new devices. Unlike with Photo Stream, the Photo Library won't limit syncing to your last 1000 images, but it will require you to buy more storage if you reach the free 5 GB limit. 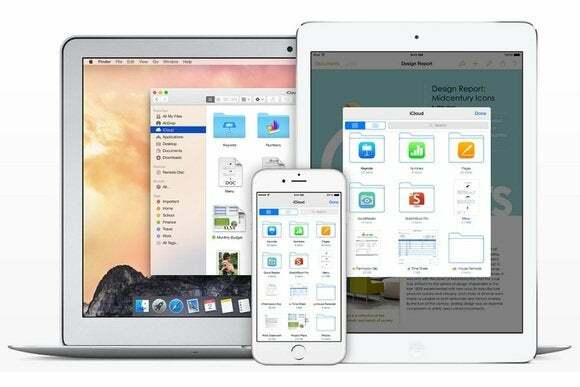 At the same time, Apple will offer a tool called iCloud Drive, which lets users manage all their online files, including photos, documents and app data. It's similar to true cloud storage programs like Dropbox and Google Drive, and it'll work with both Windows PCs and Macs. The change should make users' cloud storage less opaque and easier to manage directly. Just keep in mind that while Apple has dropped the price of its cloud storage plans, other competing services are still much cheaper. Google Drive and Dropbox both offer 1 TB of storage for $10 per month, and Microsoft offers 1 TB as part of an Office 365 subscription starting at $70 per year. All three services allow you to automatically upload photos and videos from an iPhone through their respective mobile apps.